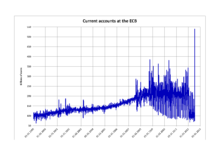 Investors using the Euro watched with trepidation as the ECB (European Central Bank) decided to enter into uncharted territory on June 05, 2014. As an anti-deflation measure it lowered interest rates to below zero. The initial news sank the value of the euro to $1.3504 USD (United States Dollar) but recovered somewhat to $1.3662 by the end of the business day. A month ago it had been trading near $1.40 USD. In a move to attempt to boost the economy in the euro zone and avoid the deflationary spiral of Japan the ECB cut interest rates to new record lows. In addition, banks would be offered new long term funds and fees would be introduced in the form of negative interest rates on overnight depositors. European stocks soon rallied on the news. The German stock market reached an all time high above 10,000 for the first time before falling back to 9,967. The news is positive for equities as well, because it indicates that interest rates will remain historically low for the foreseeable future. The news from Europe created a rally in the American stock market. All time highs were breached on Wall Street as well. An increase of 0.59% brought the Dow Jones industrial average (DJI) to 16,836.11. Prices of United States Treasury securities fell on the initial news, but later recovered with the 10 year note selling for 2.58%. This was the same price before the ECB announcement. 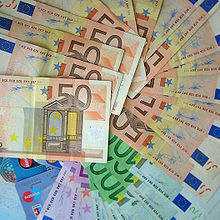 This latest action by the ECB will provide additional stimulus to the European and world economy. It will put a downward pressure on interest rates throughout the world. 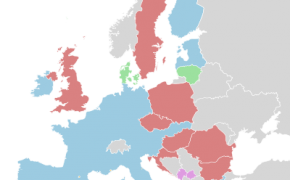 The Euro at present is used by the 18 countries in Europe that are part of the single currency union. For the first time ever the ECB will charge individual banks 0.1% for allowing funds to remain at the ECB. The ECB lowered the refinancing rate to 0.15% from 0.25%. The marginal (emergency) rate was reduced to 0.4%. 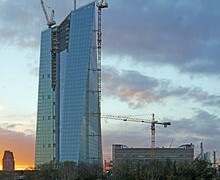 The ECB did not proceed with large-scale asset purchases (quantitative easing) for the moment but it had not been ruled out. 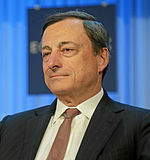 In fact, the ECB President Mario Draghi stated that if more action became necessary, it was a possibility. However, the ECB did outline a 400 billion EUR (Euro) package over 4 years to provide incentive for banks to increase lending within the zone. Previously, banks have been reluctant to increase lending and credit in a response to the government sponsored stress tests. These audits had been introduced to stabilize the European banking system in general. The bank president continues to talk about a slow recovery, low inflation, weak credit and monetary dynamics. So continuing intervention, will be now be expected by investors and bankers alike. The ECB projects inflation of just 0.7% this year, 1.1% in 2015 and 1.4% in 2016. The target that the ECB would prefer is close to, but just below 2%. The Central Bank intends to make sure that deflation does not take hold in Europe. The alarm has already been raised that the euro-zone is in the danger zone of lower prices, thus prompting the ECB action. Weaker commodity and food prices along with declining wages has brought about this downward trend. 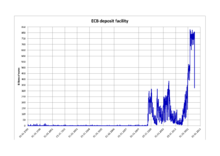 The ECB also extended the duration of unlimited cheap liquidity for euro zone banks, injecting about 170 billion EUR. This is done by stopping the withdrawal of funds previously spent on past government bond purchases. The ECB is not the first central bank to experiment with negative interest rates. Denmark and Sweden have done similar experiments in the past, but this is the first time a central bank of such importance has tried it. Up to this point the Bank of England and the Federal Reserve System in the United States have resisted negative interest rates. Why? It is the fear of the unknown. Introducing negative interest rates could well damage the financial system. The resulting monetary hit, could well not just be isolated to the home country, but have a world wide impact. The Bank of England prudently, left the UK benchmark interest rate at 0.5%. This is the same level that it has been for the last 5 years since the financial crisis in Europe began. The latest action by the ECB does put more pressure on the British pound, making it less competitive with British exports. Still, British bankers are still unwilling to match the latest actions by the ECB. Economists who favor negative interest rates continue to tout the advantages of forcing banks to lend out cash to businesses and households rather than hoarding it at the central bank. Will the actions of the ECB be enough to stop the deflation that the Central Bank is insisting is so threatening to the economy of Europe? Or will the ECB be forced to engage in what the British and Americans central bankers have done. That is massive purchases of government bonds with created money. If the ECB starts with Quantitative Easing which is the printing of money, it will ultimately reduce the value of the Euro. When that occurs, it will make European exports less expensive giving them a competitive advantage. This will put pressure on trading partners to find ways to reestablish a new equilibrium. This may well mean attempting similar moves by their own central banks, in an attempt to devalue their own currencies. The present so called deflation in Europe, is the result of the austerity measures that were put in place to force some individual member states to live within their means. 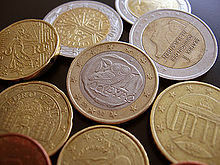 These were deemed necessary to deal with the ongoing Euro financial crisis. As the offending nations began to put their financial houses in order by reducing spending and taxes, it had the effect of reducing prices and wages in these countries. This is what needed to occur to make these countries economically competitive once again. Greece for example, now has a primary budget surplus. That is minus debt payments and the debt itself, the national budget of Greece is in balance on a yearly basis. Of course, making countries live within their means resulted in shrinking economies, and high levels of unemployment. This in turn leads to lower wages and prices. The very success of some of the austerity measures, is what is now in turn alarming the ECB. They are boldly taking action in contradiction to what was deemed necessary just a short time ago. They are also encouraging banks to make some of the same kind of loans that led to the buildup of toxic assets and the bubble before the financial crisis in Europe. The international financial consequence of what the ECB has done will be measured by other central bankers. They may soon feel compelled to match such monetary stimulative moves. What will follow is a race to the bottom. As each country attempts to stimulate their own nation’s economy by quantitative easing type measures and interest rate cuts. It will ease some of the pressure on the American dollar in the short term. But eventually, the United States Federal Reserve will need to take similar actions to attempt to maintain economic growth within the United States. The end result will be to reduce the faith in all of the major currencies of the world. It will force investors to abandon holdings in cash and to move more money into hard assets like real estate, stocks and commodities. It will be a boon to those investors who have bought precious metals and other vehicles of investment when the next currency crisis arrives, which it now must. Negative interests rates are not rational in the long term, to the health of an economy. Individual savers are punished so the nation as a whole saves less. This has very grave, long term consequences. People end up spending and borrowing more money. This in turn leads to a major run-up in asset prices. In the end, it will create a new bubble in the economy and soon a new crisis on the horizon. What should the individual investor do? Invest heavily in European stocks in the short term. This can be done in the United States by investing in an ETF (Exchange Traded Fund), if you would prefer not to own individual European stocks. Make sure that it is one that is investing in the largest or medium sized European companies. In the long term view however, you will need to once again consider, that the decline of the Euro will make all commodities, including precious metals like gold and silver, much more expensive. A savvy investor who wishes to have a more balanced portfolio, will need to make a sizable investment in this market.